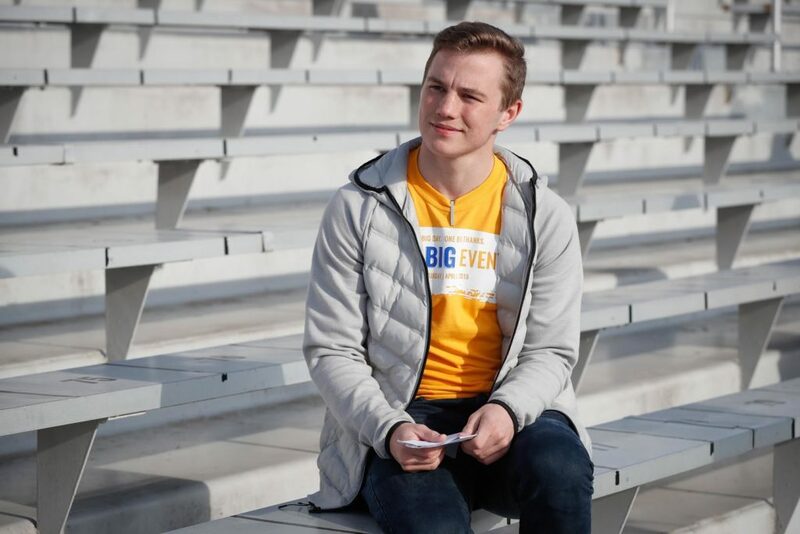 This post has already been read 721 times! 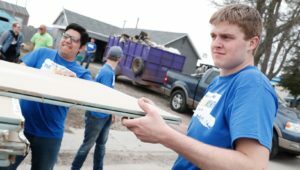 GIBBON – Mike Montgomery wiped a tear from his eye as he described the devastation. 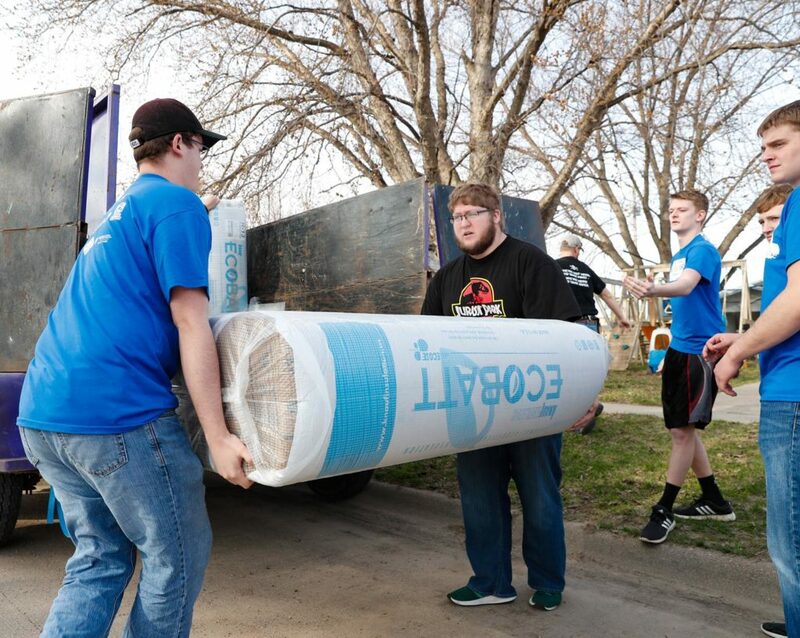 He’s lived in Gibbon since 1969 and never seen anything like last month’s historic flooding. 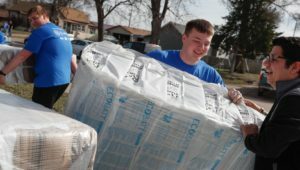 When the nearby Wood River left its banks, residents had little time to react before entire neighborhoods were inundated. 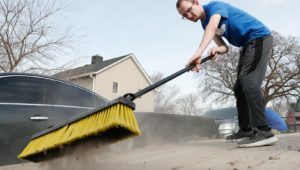 The fast-rising torrent submerged the community’s north side, causing damage that will take weeks, or months, to repair. 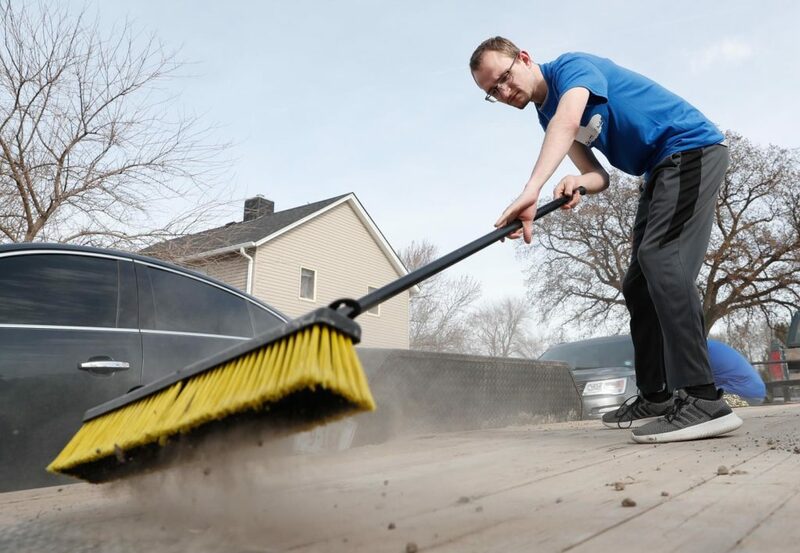 Montgomery, who was forced to evacuate as the basement of his Murnen Avenue home filled with water, knows residents here face a long road ahead, yet he displayed a sense of optimism in the aftermath. 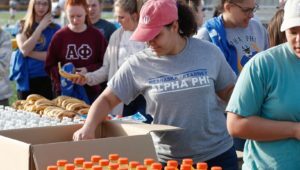 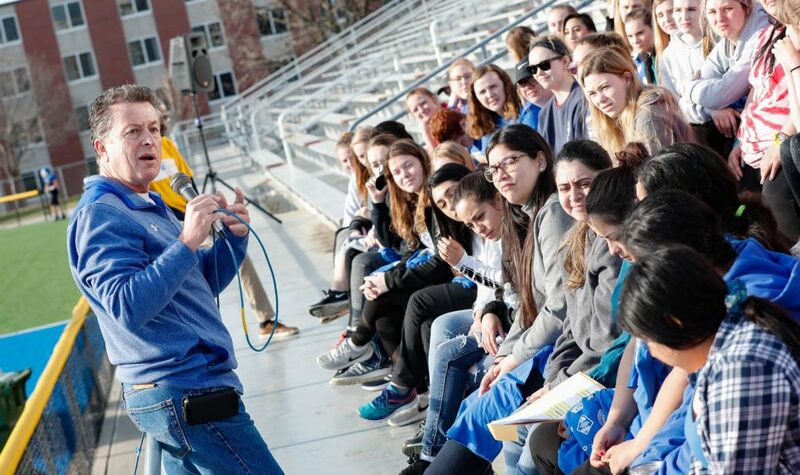 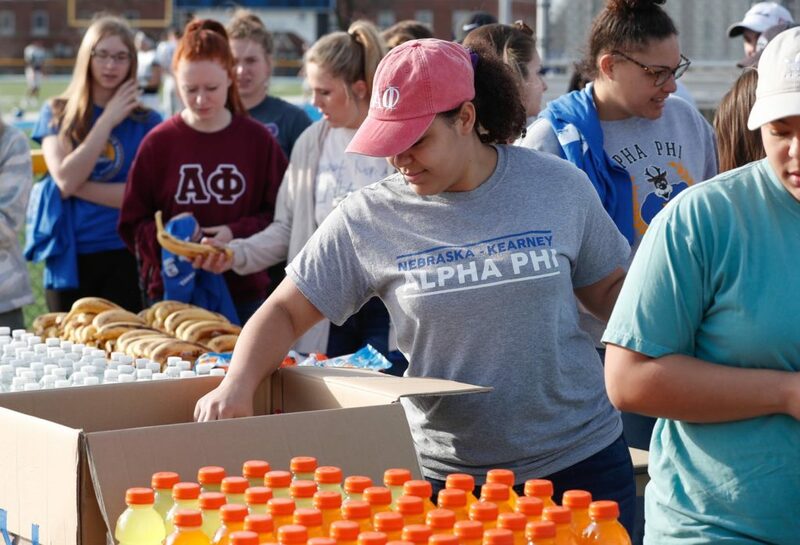 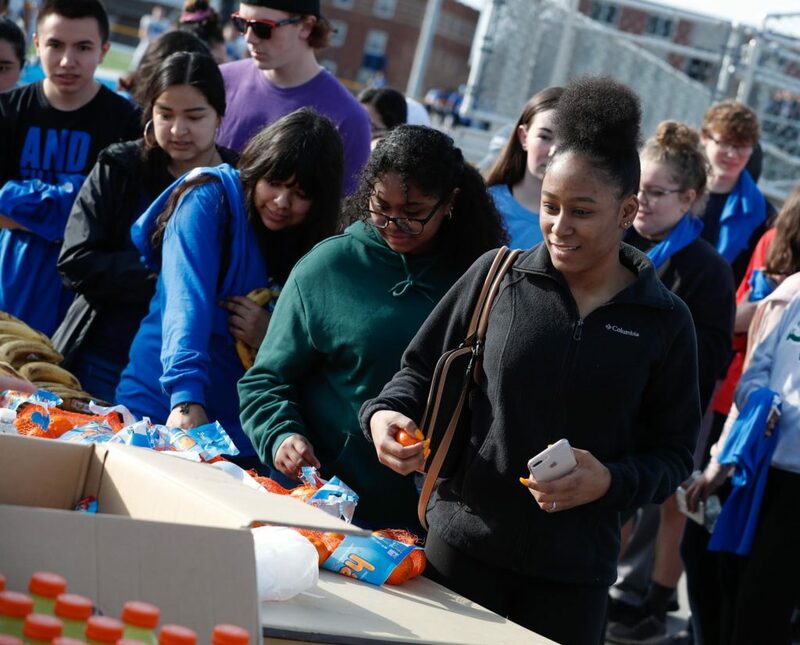 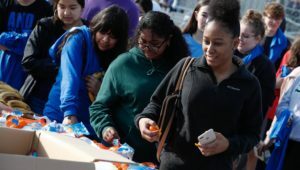 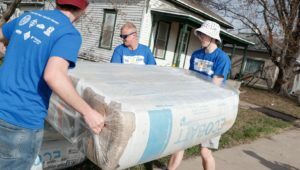 On Saturday, that support came from a group of University of Nebraska at Kearney students looking to lend a hand. 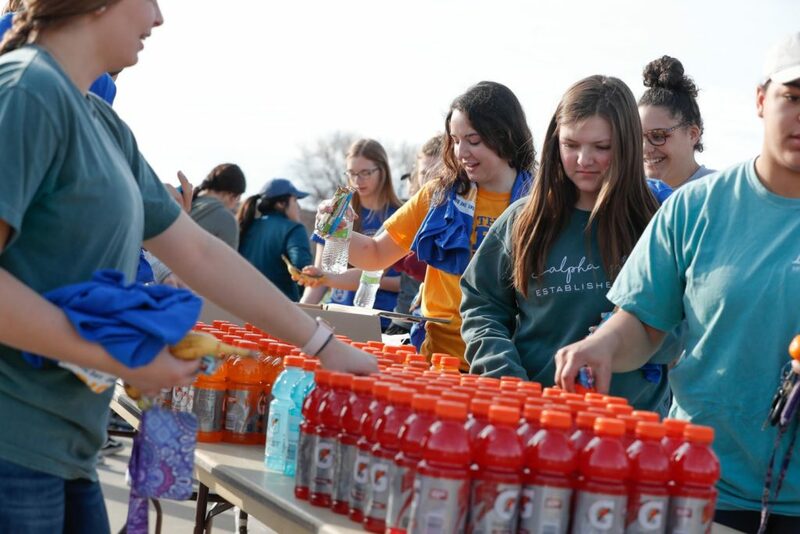 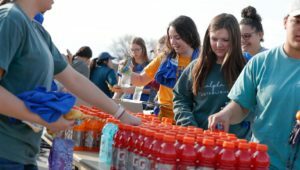 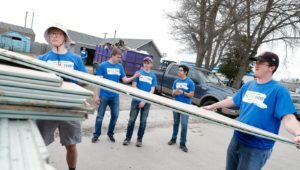 Working alongside Kearney Restore Ministries, a local nonprofit that assists with disaster recovery efforts across the country, about 20 members of UNK’s Delta Tau Delta and Sigma Tau Gamma fraternities traveled to Gibbon and Wood River to aid those impacted by the flooding. 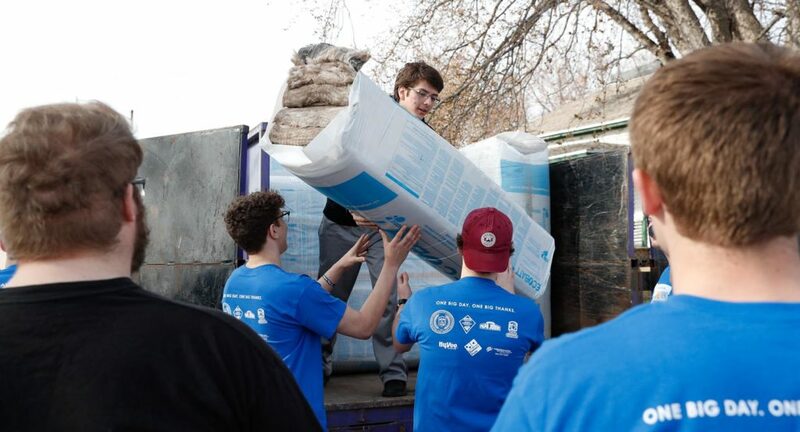 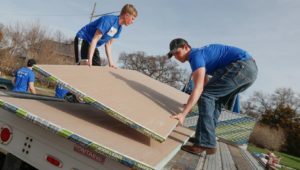 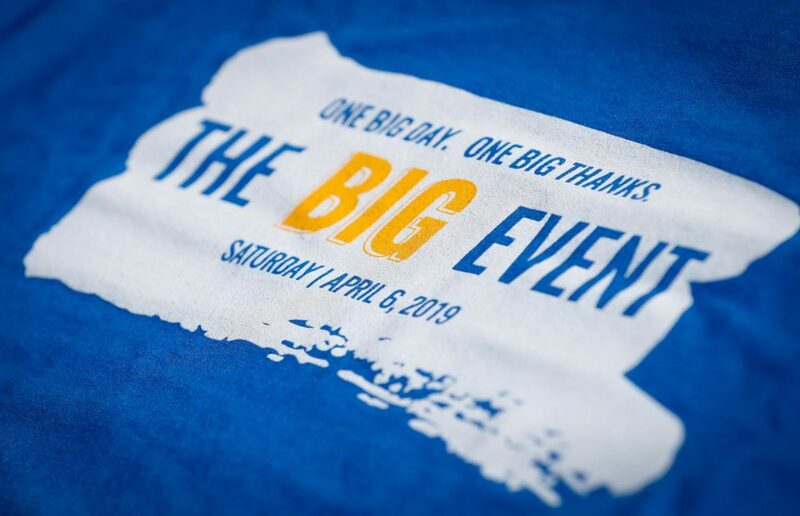 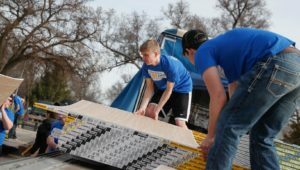 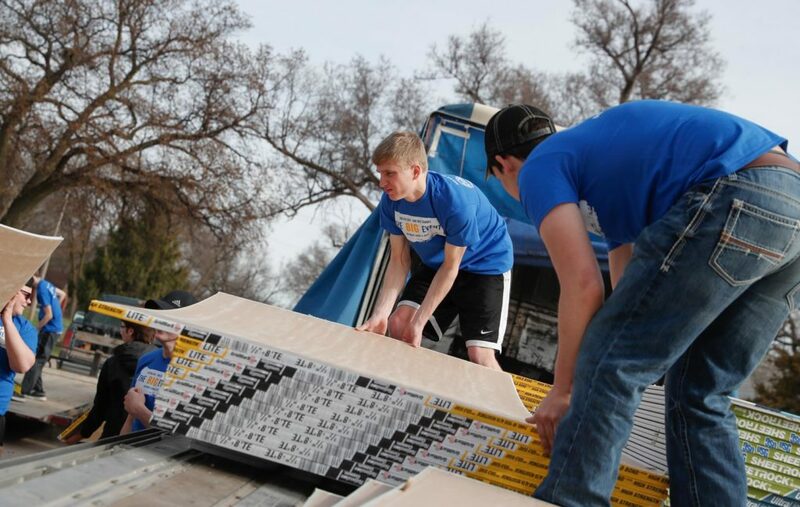 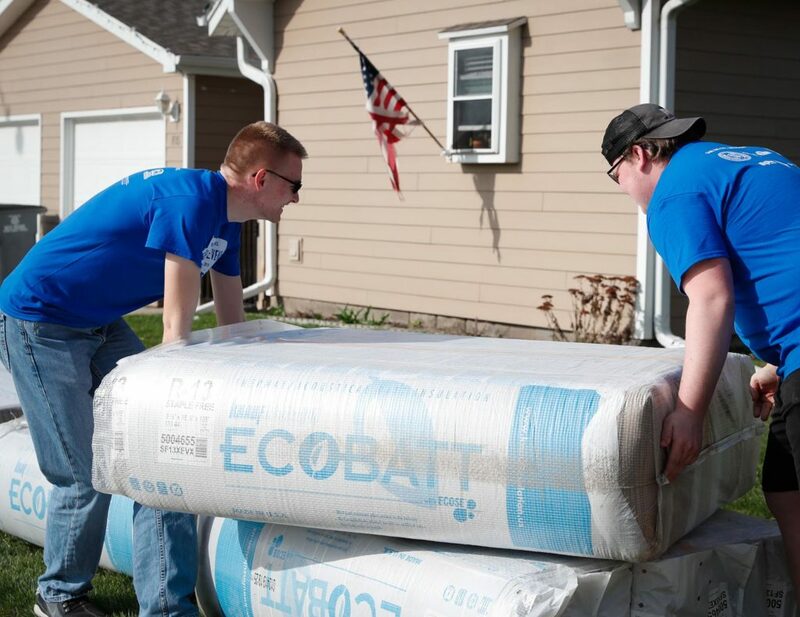 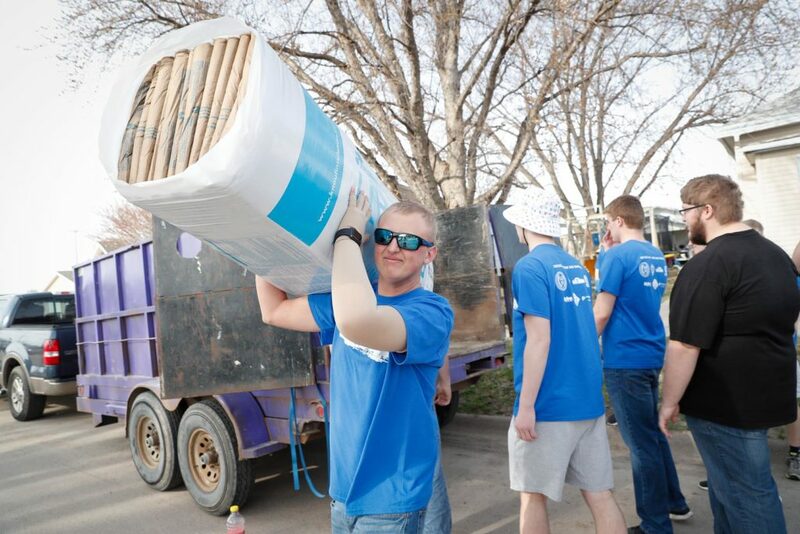 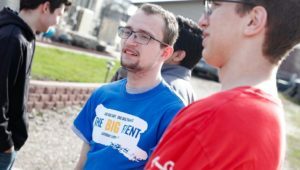 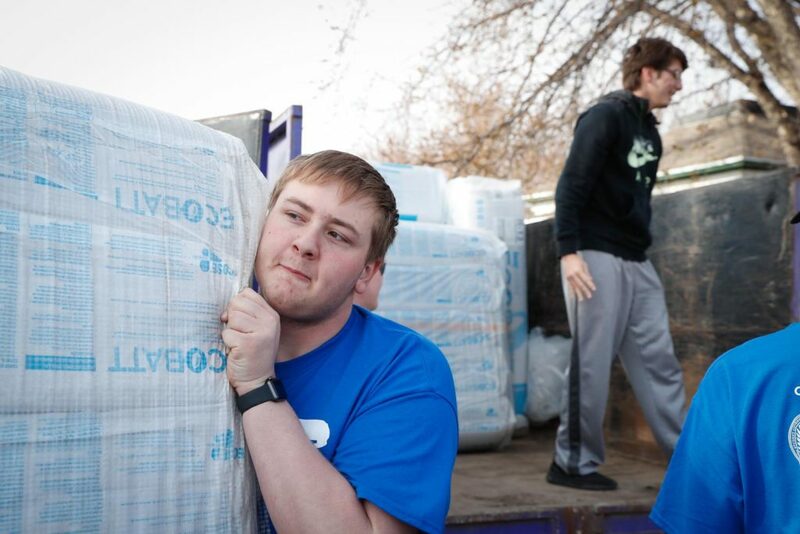 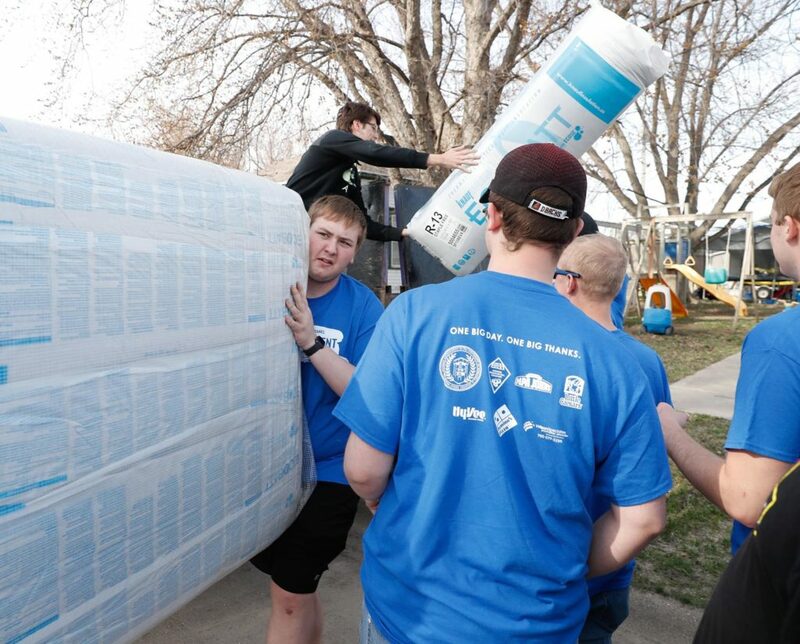 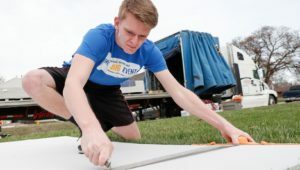 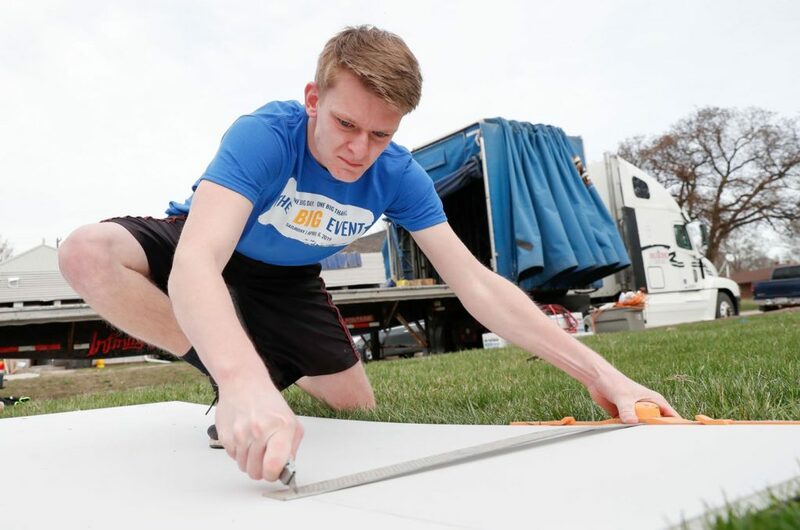 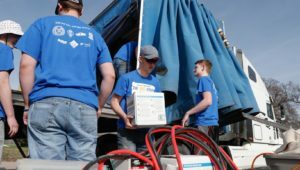 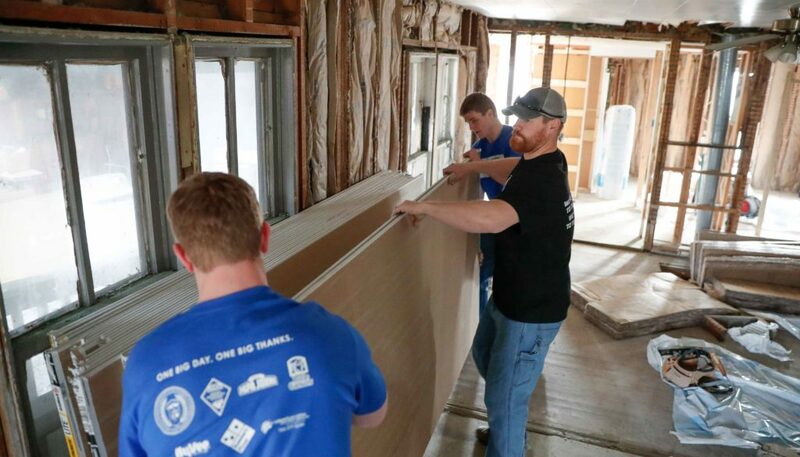 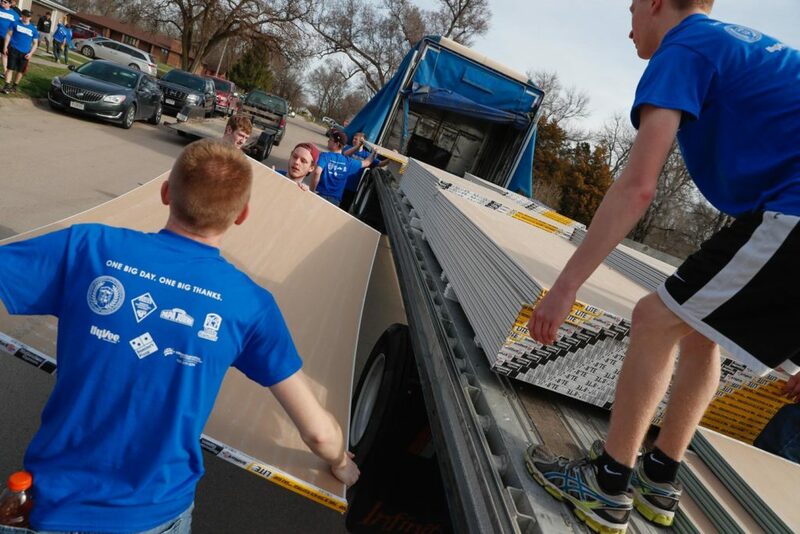 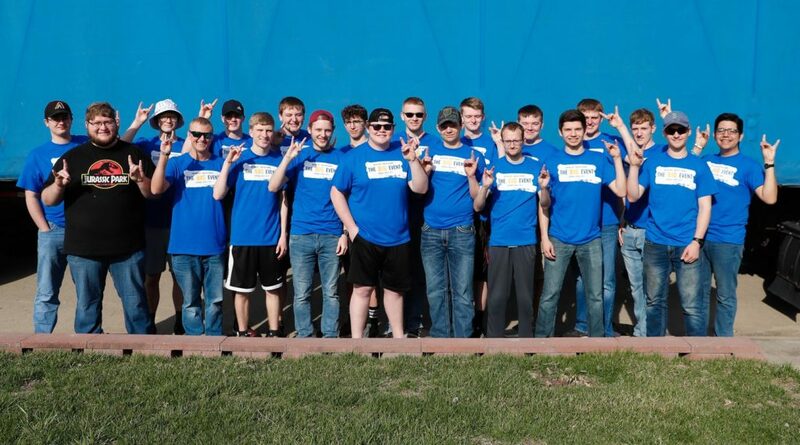 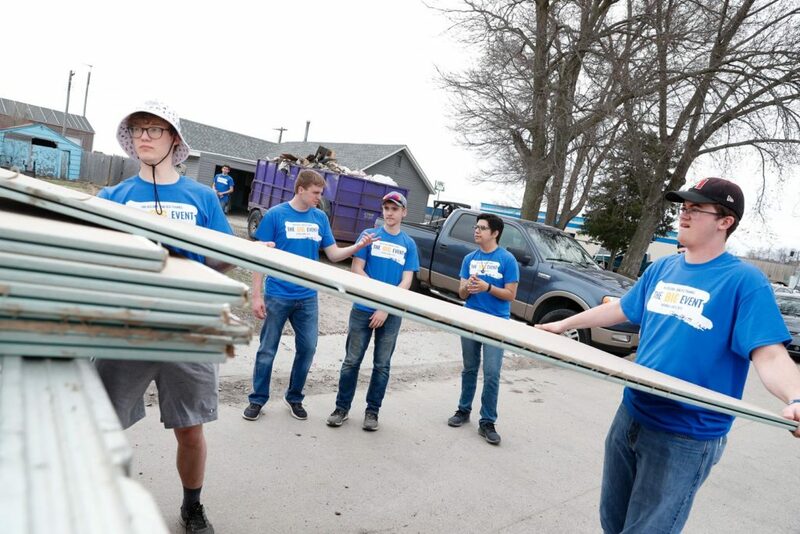 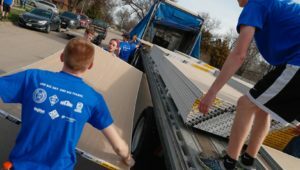 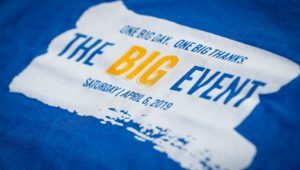 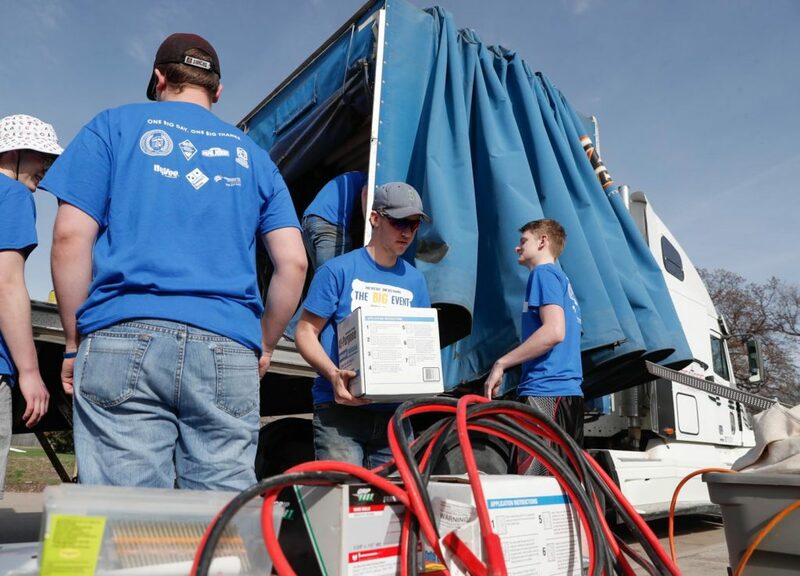 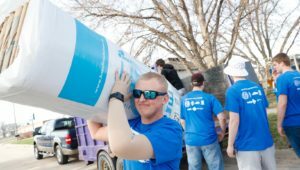 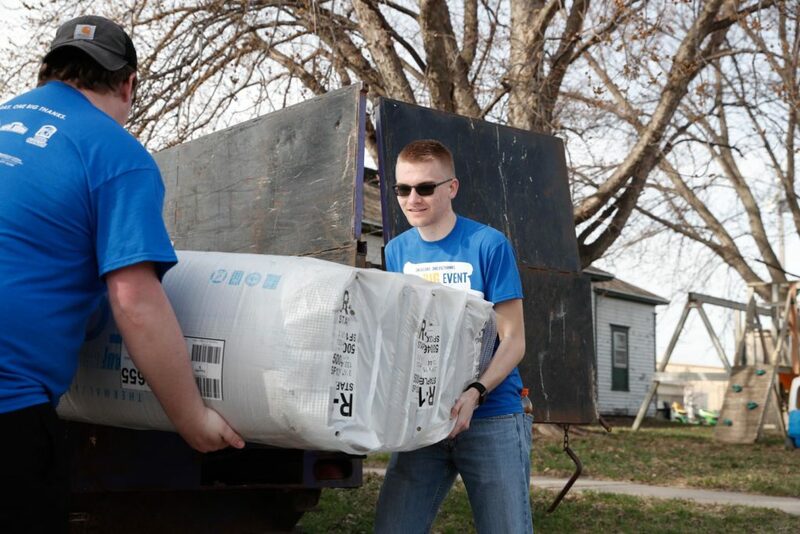 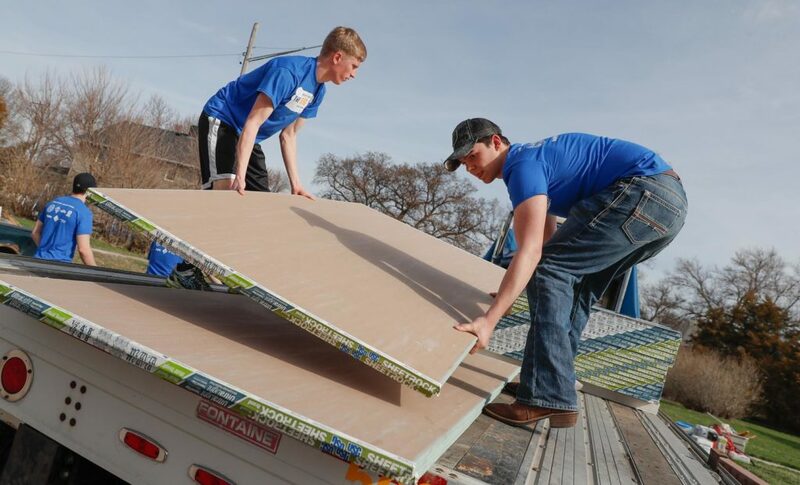 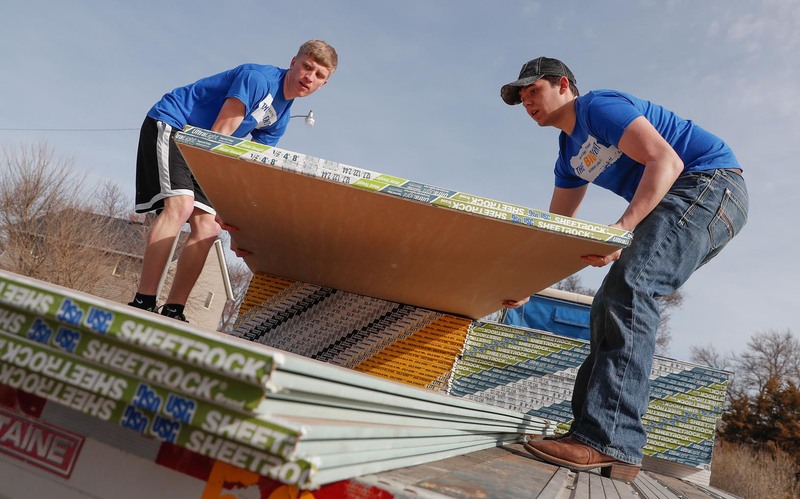 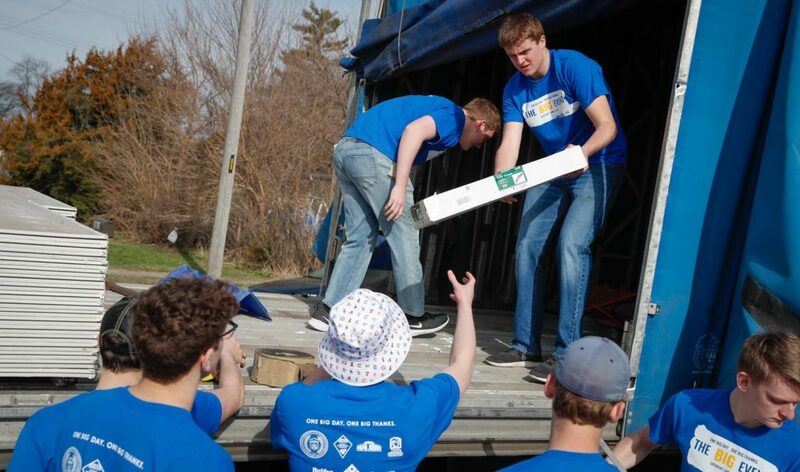 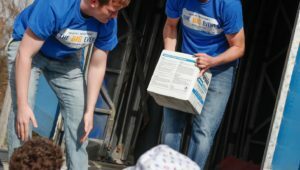 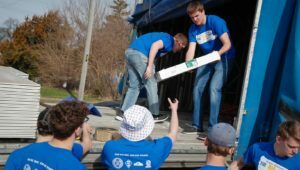 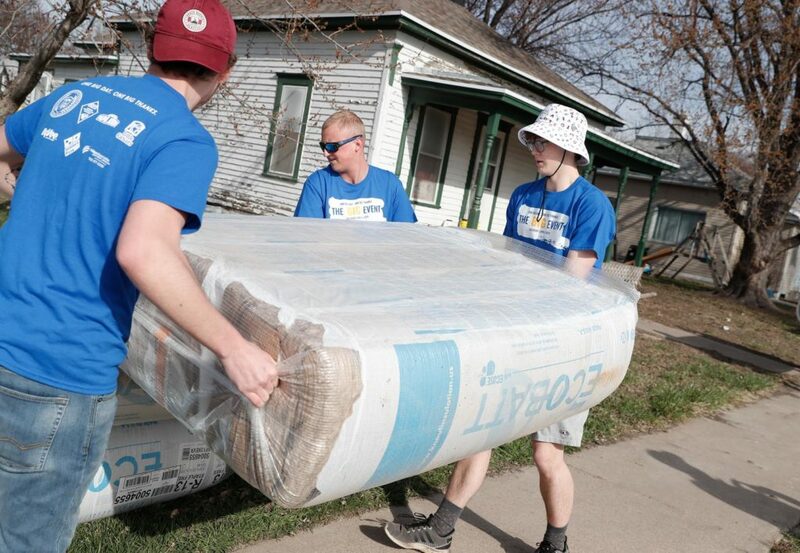 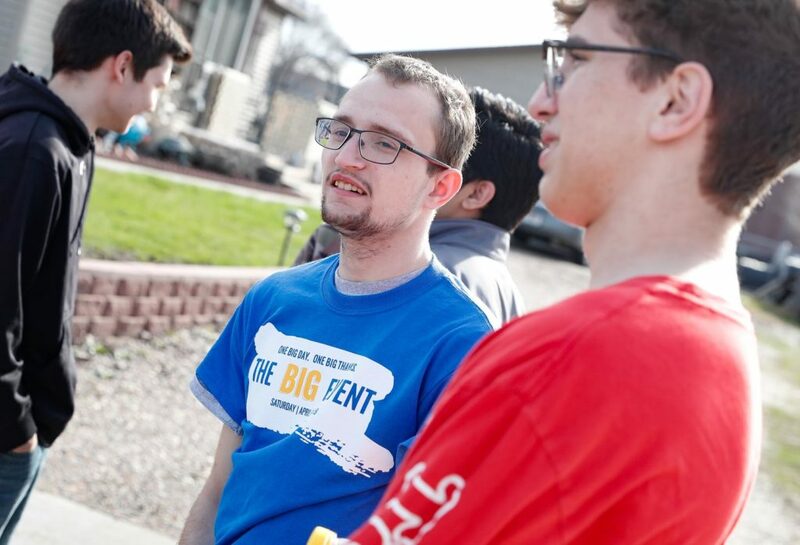 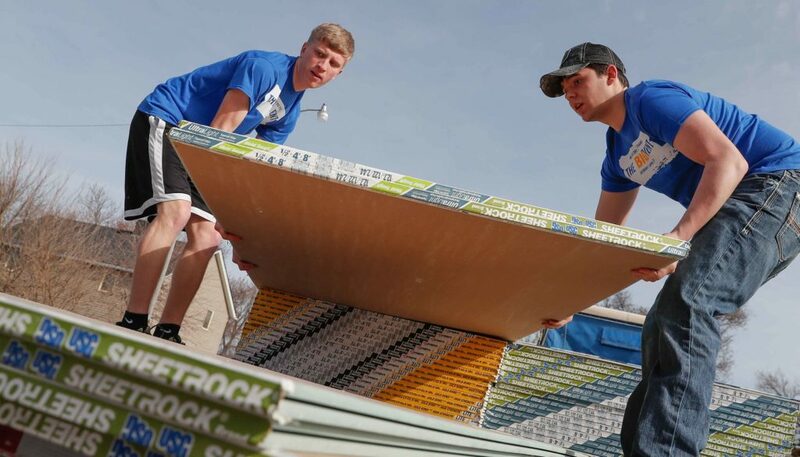 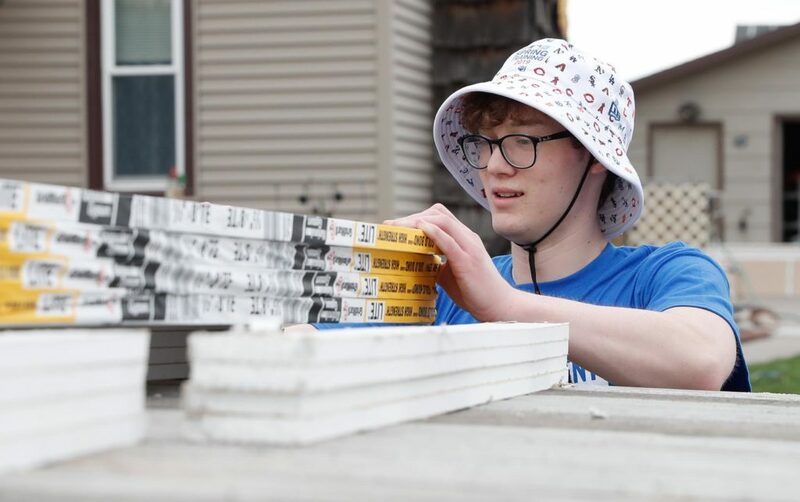 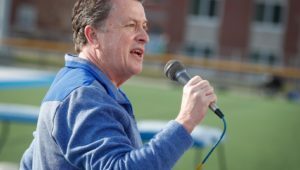 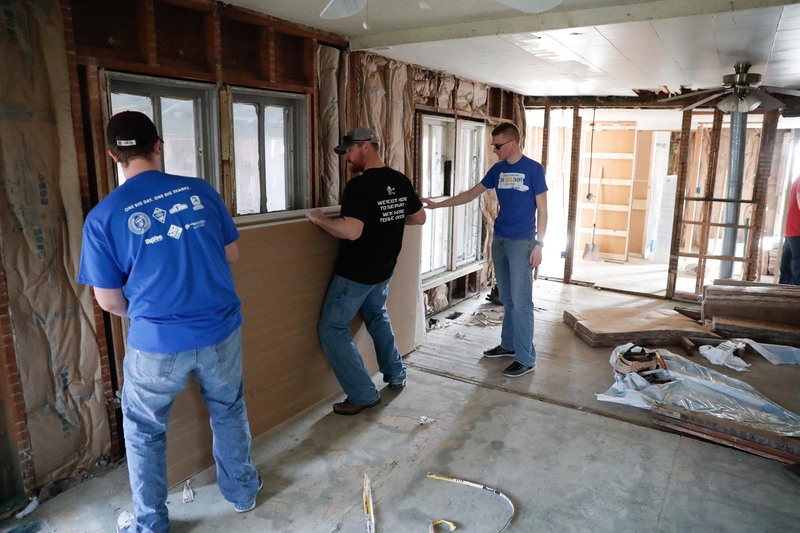 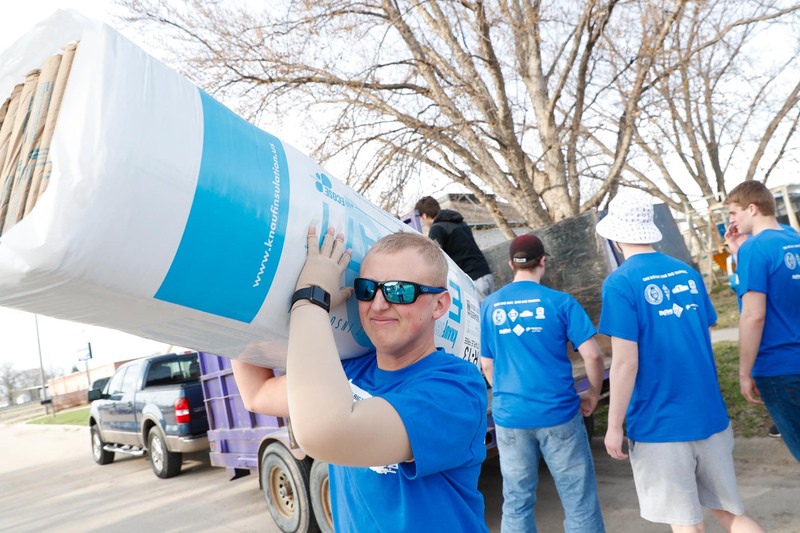 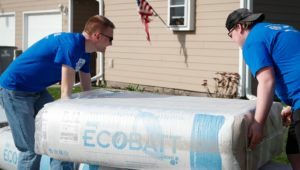 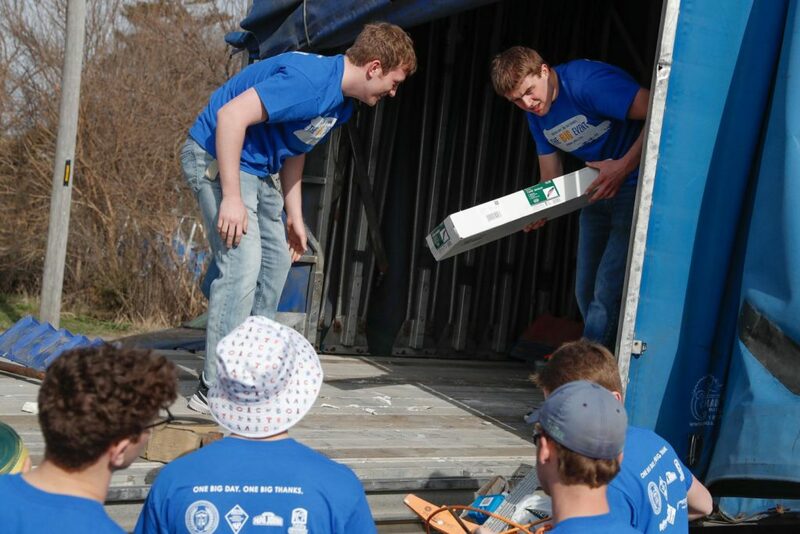 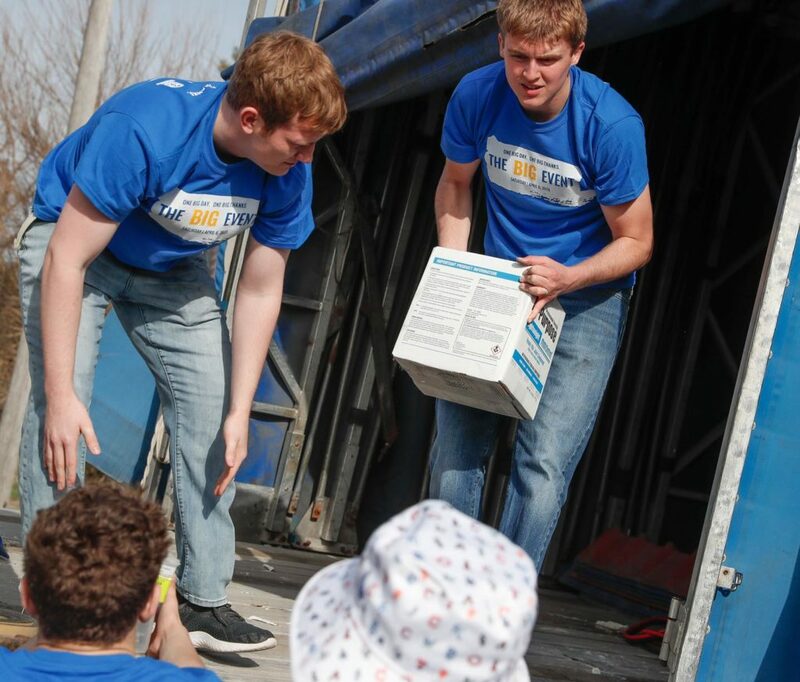 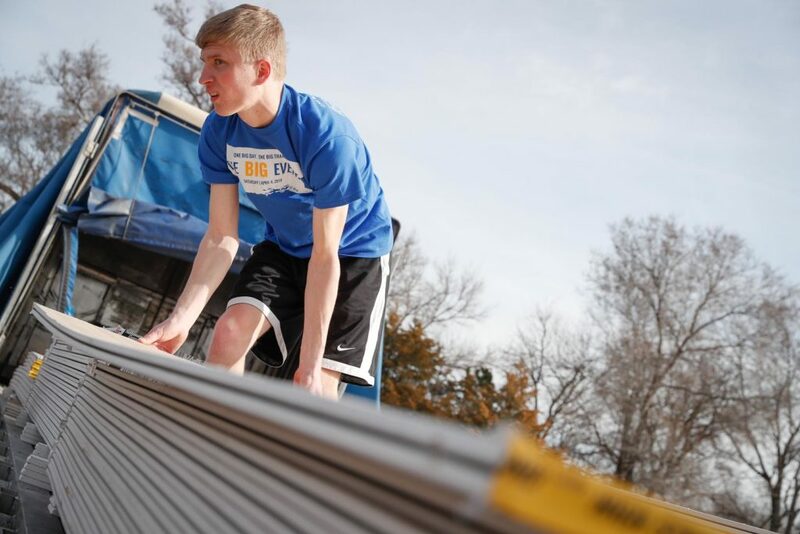 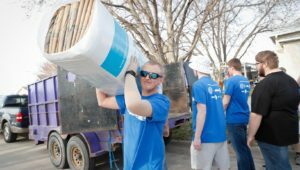 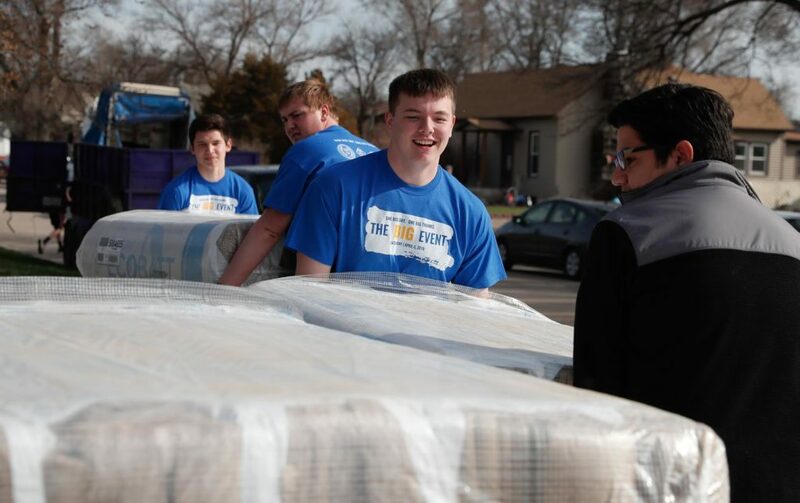 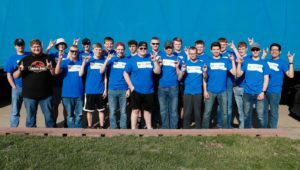 The fraternity members helped deliver and install insulation and drywall at several residences as part of The Big Event, an annual day of giving back when nearly 500 UNK students took on more than 30 service projects across the area. 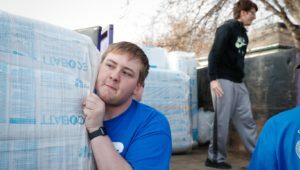 The geography and geographical information science major is from Stanton, another community hit hard by the catastrophic flooding. 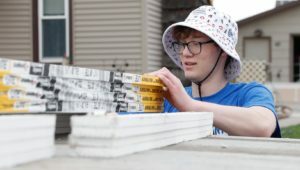 In Gibbon, Edgar Almazan and his family needed all the help they could get while repairing his grandmother’s house, which was gutted following the flooding. 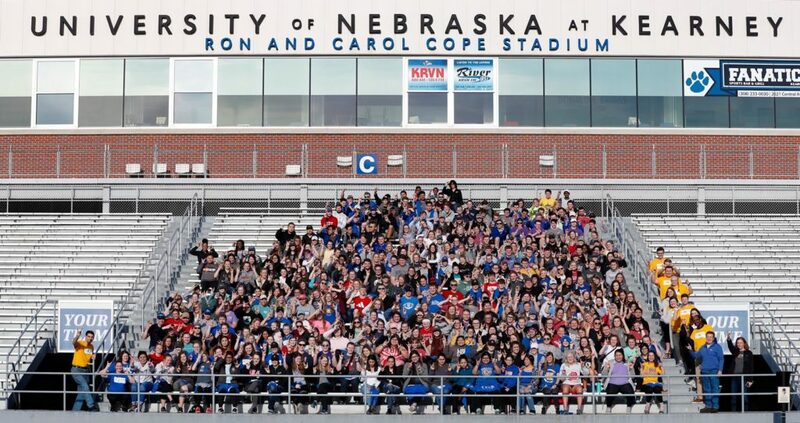 “It happened fast. 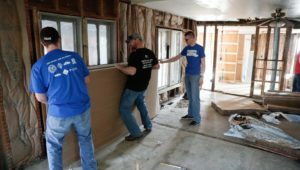 No one knew it would be this bad,” Almazan said as he and his brother, uncle and father replaced insulation inside the empty shell of a house. 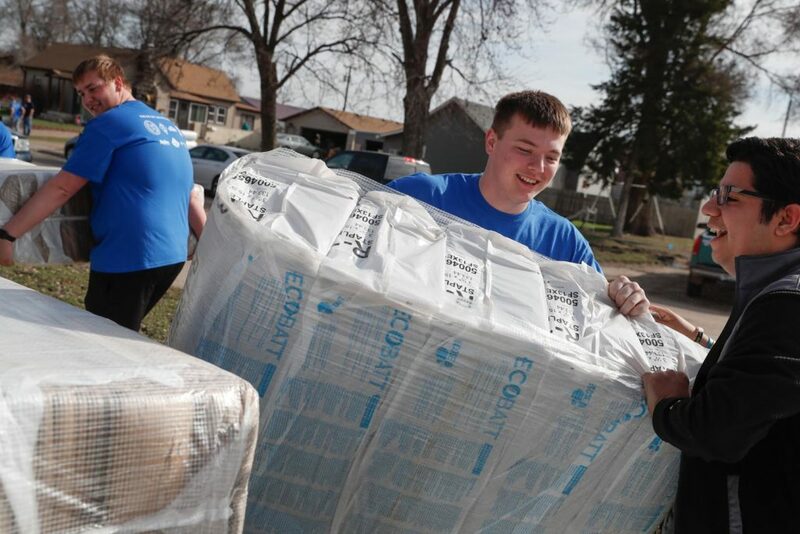 “No one in this area had flood insurance, because this normally never happens here,” he said. 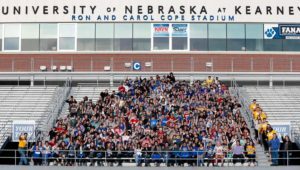 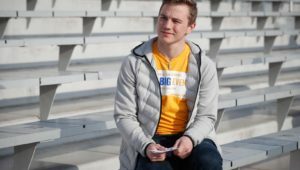 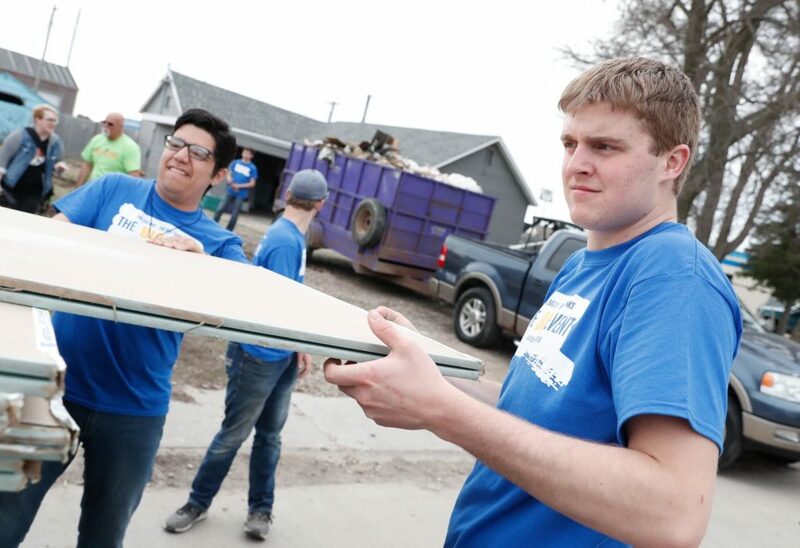 Almazan doesn’t know how long it will be before his grandmother can move back in, but the assistance they received Saturday from UNK students is a step in that direction. 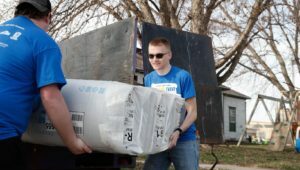 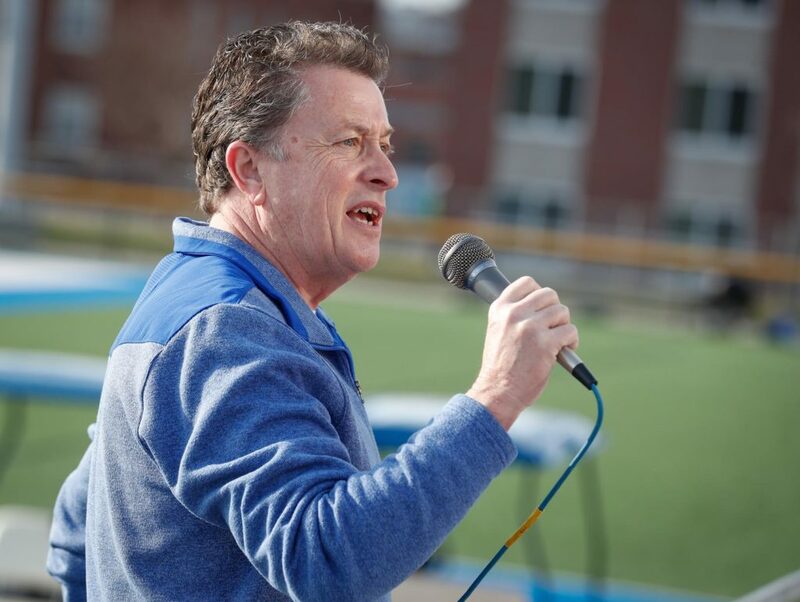 “Having all these people donate and help us out, it’s really great,” he said. 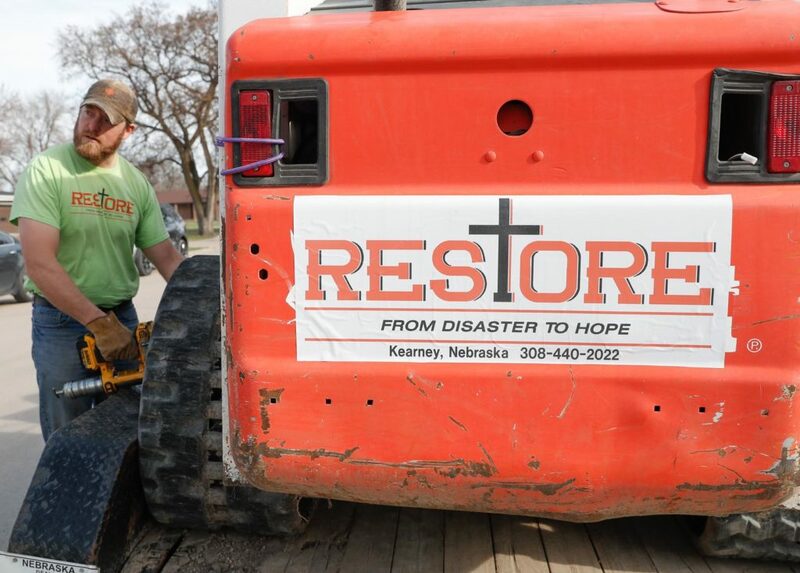 Kearney Restore Ministries has received more than $25,000 in donations to assist with flood recovery in the area, according to Mike O’Brien, who started the nonprofit with his wife in 2013. 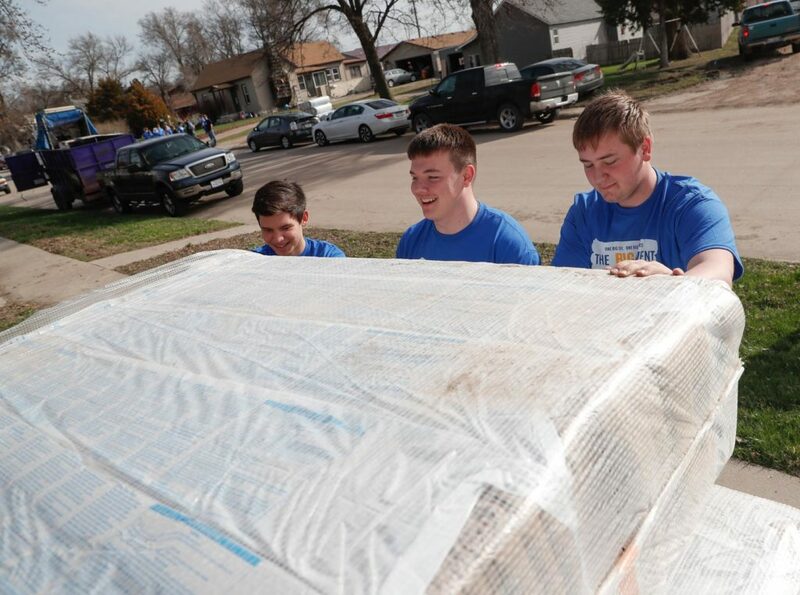 The group also has volunteers working in the Spencer and Arcadia areas. 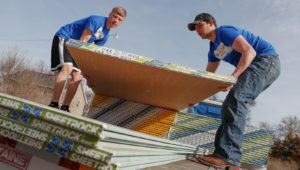 UNK junior Zach McDuffee was inspired to help out after witnessing the damage near his hometown of Columbus. 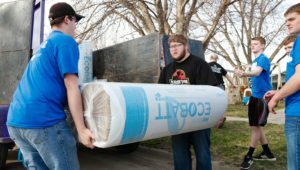 “It’s scary driving into town and seeing all the water everywhere and how much it’s affected everybody,” he said. 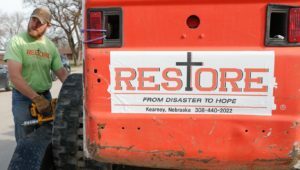 Saturday’s project, he said, exemplifies the #NebraskaStrong message that’s become a symbol of the recovery effort. 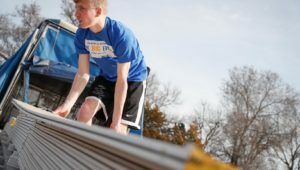 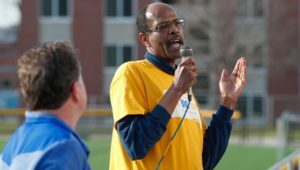 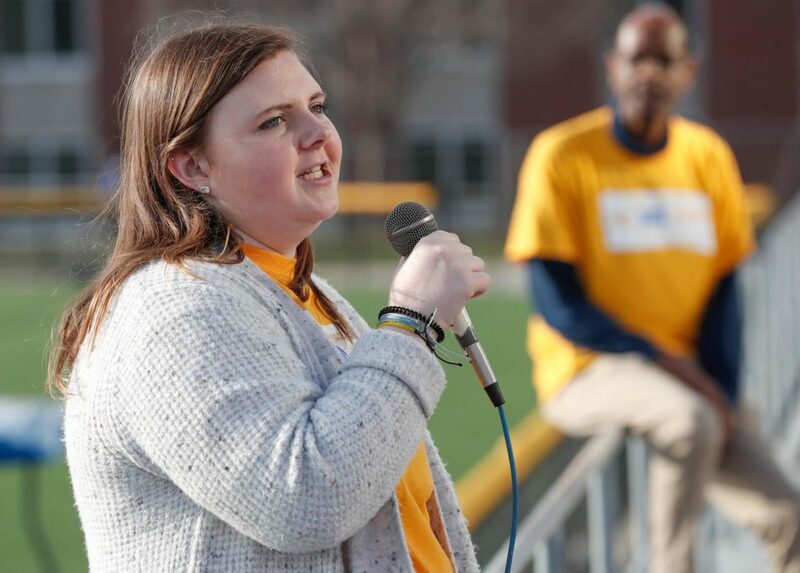 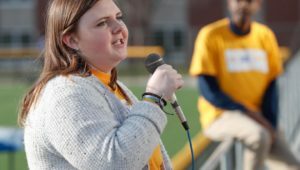 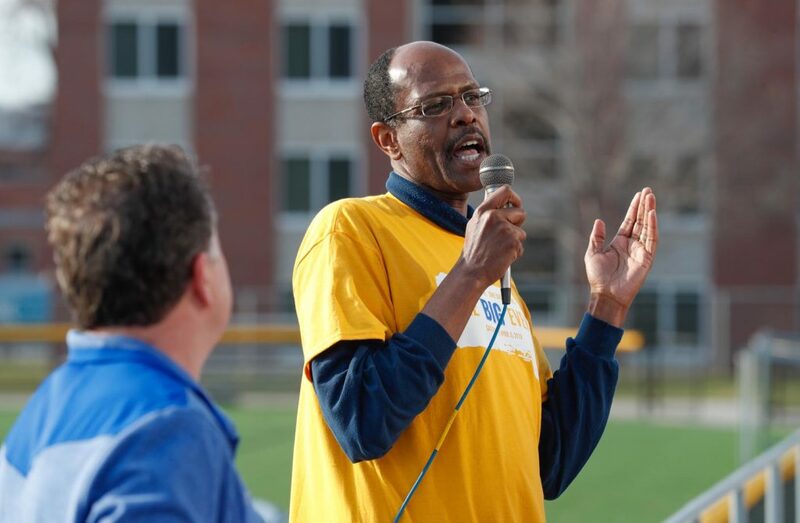 Montgomery shared the same sentiment when talking about the UNK volunteers.